Recently I received a few books on a diversity of subjects that share one trait: they are small. Of course, small page size does not mean the ideas inside aren't grand. Even though their topics don't overlap in any obvious manner, I decided to review them together. The output of architect and educator Ronald Rael is varied, with three primary though apparently unrelated areas of research: earth architecture, the US-Mexico border wall, and 3d printing. Yet as he writes in the introduction to this book focused on the second subject, "buildings using mud and concrete ... we saw as conceptually parallel to the contrasts of poverty and wealth [in] Mexico and the United States." Extending the parallels further to 3d printing, which gives anybody with access to the technology the ability to create industrial objects and even building elements, there is an apparent interest in informal architectural production and the social aspects of design in all three areas. With this in mind, it's not surprising that Borderwall as Architecture is more a critique of the US-Mexico wall than realistic proposals for it. With the book being released early next month, the timing is fortuitous, for obvious reasons. One could even argue the timing is opportunistic, but Rael – alone, with his students at University of California, Berkeley, and with his partner Virginia San Fratello – has been tackling the subject since at least 2008, when he led a "Borderwall as Architecture" studio at UC Berkeley. The following year Rael San Fratello was a finalist in the WPA 2.0 competition with "Border Wall as Infrastructure." 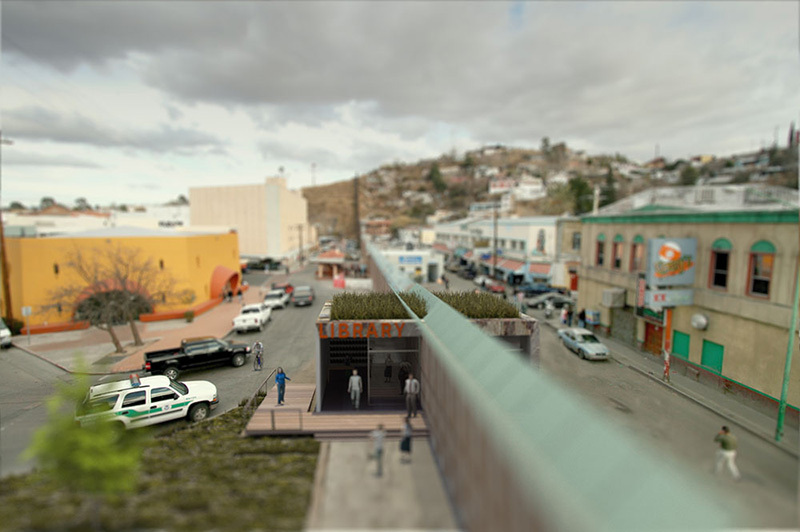 That entry, which depicted a row of solar panels alongside the fences and a library bridging the wall à la Haskell Free Library and Opera House, is included in Borderwall as Architecture among numerous other scenarios, some of them real (Friendship Park, tire dragging) but most of them imagined (cactus wall, teeter-totter wall). Rael's projects, which take the form of drawings like the cover, renderings like above, and even snow globes, are found in the chapter "Recuerdos/Souvenirs: A Nuevo Grand Tour," which makes up most of the book. Other chapters include texts by Rael but also a foreword by Teddy Cruz and essays by Marcello Di Cintio, Norma Iglesias-Prieto, and Michael Dear. The last, "Why Walls Won't Work," is particularly apt now, given the Trump administration's recent RFP, which is getting a fair amount of protest but is still likely to draw a number of responses from architects who don't have ethical quibbles with such a commission. One form of protest is inaction (not submitting and convincing other architects not to submit), but Rael shows that alternative proposals depicted through architecture (drawings, models, renderings) are also a legitimate form of protest. Although I've never read Andrew Blum's Tubes: A Journey to the Center of the Internet, I'd wager that if it came with a companion guidebook, it would look a lot like Ingrid Burrington's Networks of New York. What started as a website and then a self-published book was turned into a handsome, durable, pocket-sized book last year by Melville House. In it the author/illustrator Ingrid Burrington takes readers on a vertical journey through internet infrastructure, from below-grade services to ground-level buildings to above-ground elements hidden in plain sight. The idea is to turn something apparently invisible – the movement of bits and bytes through the air – into something physical...which it already is, but we just don't pay enough attention to realize such. 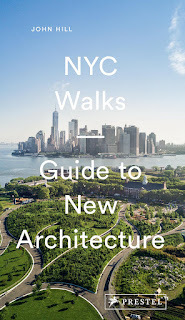 Focusing on New York means that much of the physical infrastructure is beneath our feet, in old buildings that were used originally for telephone lines, and attached to light poles and other pieces of existing urban infrastructure. The first becomes known in the colored markings spray painted on sidewalks and streets and in the labels on manhole covers; the second are discussed in the context of Lower Manhattan, which has some notable examples of building-size network infrastructure; and examples in the third do their best to blend in with their surroundings but all-too-often make their uses evident. As an architect, I found the "Ground Level" chapter most fascinating, since that one includes the buildings – carrier hotels and data centers – that house the "architecture for the Internet." The largest such facility is located at 111 Eighth Avenue, just one block from the High Line. I knew beforehand that the block-long building was built by the Port Authority and was bought this century by Google for their NYC HQ, but I learned here that Google's physical footprint extends across the street to the Chelsea Market, where the NYPD's Intelligence Division is located, and, further still, to 85 Tenth Avenue, where the FBI's Joint Terrorism Task Force is located. The existence of these law enforcement agencies in these locations is not spray painted on the sidewalks or mounted on light posts, but thankfully Burrington's book digs deeper to discover these adjacencies and other instances of how networks impact the city. 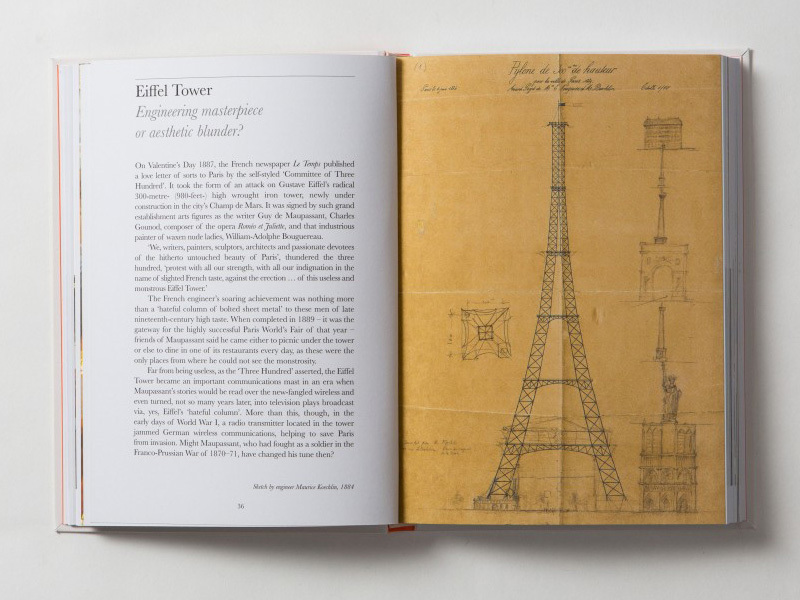 When I received What's So Great About the Eiffel Tower?, the latest book by Jonathan Glancey, the former architecture critic at The Guardian, I was very intrigued, particularly by the book's subtitle, "70 questions that will change the way you think about architecture." Opening the small book to the table of contents, though, I was disappointed to find, not 70 questions like the title, but 70 either/or questions, such as "Deconstructivism: Architecture meets philosophy or fashion?" and "Postmodernism: Modernism redeemed or duped?" Although technically questions, it seemed like the 70 either/ors – about architects, buildings, movements, ideas, and other things – were not real questions like the title, making the latter misleading. Diving into some of the questions, I didn't discover Glancey landing on one side or the other; instead he gives mainly "yes" answers, where both parts are true to some degree. "Brutalism: Grim or lovable concrete?" "Yes." "Thermal Baths, Vals: Building into landscape, or landscape into building?" "Yes again." One exception I noticed is "Säynätsalo Town Hall, Finland: Convincing new vernacular, or precursor of vernacular kitsch?" Here, he clearly questions the almost universal appreciation of the project, finding the roots of later "dismal, bricky" buildings in Alvar Aalto's brick masses about a raised courtyard. Even then, he finishes by countering that assertion: "Aalto showed how a modern vernacular architecture could be shaped in the most convincing manner." In another instance, I covered up the subject and question to see if Glancey's text was clearly answering a question and making a critical reappraisal of the subject. I did not sense it, but I did get a short but thorough description, contextualization, and critique of a project (Dunmore Pineapple, Scotland). 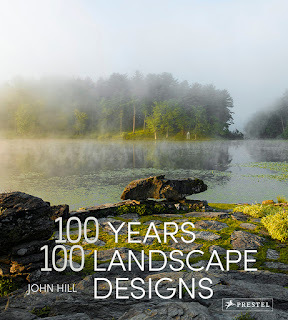 That times seventy and it's a good book, with a wide range of topics in terms of chronology, geography, and theme. The questions are a gimmick that unfortunately don't add much to the content; if anything, they create a situation where more is needed than what was delivered.